Hello. This margin is too small to say anything useful at all, so do look below. Thanx! I mean that. 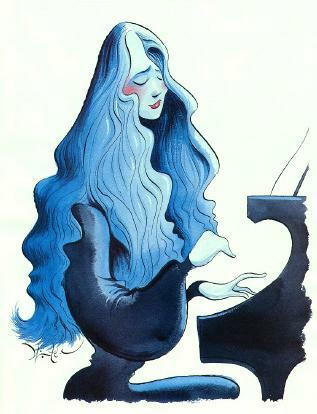 Oh, yes: that's Martha Argerich, in caricature, at right. She is there for two reasons: (1) I had a picture of her already, and (2) Even Mrs. Pollini would have to admit that "Marthita" is easier on the eyes. This is an incredibly temporary site for Maurizio Pollini, built in mere microseconds (approximately 150,000 of these) in breathless anticipation of actual content. Mr. Pollini stands, along with Martha Argerich, at the summit of pianism at dawn of a new century. Isn't that poetic? Well, it's also, you know, TRUE. One day, Mr. Pollini's handlers will realize they should build a site for him, and then they'll come a-askin' for this domain, which the Great and Infallible Pollini may have, merely by requesting it. Is that not magnanimous? Can such magnanimity stand at the summit, along with Pollini and Argerich? Probably not, but perhaps at a base camp, looking up at them in admiration. The really impressive restrictions imposed by Register.com seem to require that something be put here, so let me mention yet again all that stuff about standing at the summit, where it's Pollini and Argerich doing the standing. Sometimes, other pianists get to stand *near* the summit, without getting to the very top. These include Helene Grimaud, Evgeny Kissin, Murray Perahia (not my own cup of tea, mind you, but a fine Mozartean), Krystian Zimerman, and a few others. At other Himalayan peaks are first-rank talents such as Radu Lupu and up-and-comers like Freddy Kempf, who gaze longingly from K-2 to Everest, where Pollini and Argerich are served delicacies by violinists, cleaned up after by cellists, and serenaded by the likes of Renee Fleming and Bryn Terfel. They deserve it. You might be saying "There is nothing here about Pollini, and more about Argerich than him! No fair! I'm going to hold my breath until there's some Pollini content here!" Well, that would be dangerous. But, in the interests of your pulmonary safety, let me recommend some recordings of his, which if you don't own, well, let's just say your pulmonary safety isn't exactly at the top of anyone's priorities. These include his Petroushka (Stravinsky), Prokofiev Seventh Sonata, Wanderer Fantasy (Schubert) and Late Beethoven Sonatas, particularly the Hammerklavier. Whatever you're doing right now, if you don't have these, just stop and obtain them. And, while you're out, get Argerich's Debut Recital, with a Liszt Sonata that must be heard to be believed, and some of the finest Ravel ever to have been recorded. Finally, if you don't want to, you know, PAY to listen to piano music, remember that there are first-rate players at MP3.com like John Bell Young, Elena Kuschnerova, Andrew Schwartz, Margarita Fyodorova, Sergio Fiorentino (no relation to Linda), Paul Badura-Skoda and Jorg Demus (whose award-winning Well Tempered Clavier is now available), merely a click of your frugal fingers away.